It takes a lot of practice and hard work to create a book — even if it’s your own story! And even top selling authors have to continually hone their craft, and constantly work to improve their writing skills. Luckily, if you are on a mission to be a better writer – which is a good thing! – there are some easy tricks and tips you can employ to boost your skills without months of classes. Ready to start writing better? Follow with these simple steps that will almost instantly give your writing a boost. It’s not uncommon to get “stuck” at a certain part of your story, or to wonder what would be the best path to go next for it. This is where an outline can help you create a bigger plan! Outlines don’t have to be complicated. A quick overview of what you want to accomplish in a chapter, section, or even your whole book will help guide the way. In addition, it will allow you to better focus on the captivating progression of your story. 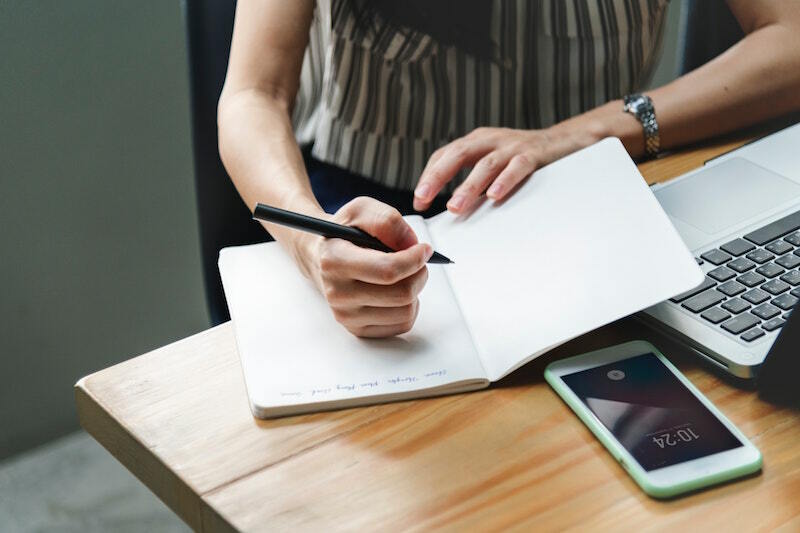 Imitation is the sincerest form of flattery, and when it comes to writing, it’s also a fabulous way to improve your style. Spend a little time imitating the styles of writers and authors you adore – either while working on the draft of your book, or just for fun. Chances are, you’ll pick up a couple of tricks simply by being inspired by the greats. Obviously, you’ll want to check and double check your work for spelling and grammar mistakes, but what about word choice, descriptions, and expositions? New authors have a tendency to over-explain and use excess words and phrases that aren’t necessary. So re-read your work and see what you can take out. Try examining your writing with an editor’s eye, and checking to see if your story makes sense when those excess words and explanations are removed. You’ll create a more polished piece of literature, perfect for those who can’t wait to read it! Spellcheck functions can only catch so much, and they often miss unusual spellings, phrases, and other more complicated grammar and spelling mistakes a trained editor can spot. Luckily, there are tons of online programs that can do this extra legwork! Check out online grammar and spelling checkers to apply to your story. They can increase your chances of catching those more subtle errors which muddle your otherwise solid writing style. You don’t have to attend a months-long college course to improve your skills, particularly if you dive into a truly immersive and enlightening workshop! The upcoming Book Bound by the Sea event is a prime example of an experience to help your writing excel in just a short amount of valuable time. Remember: authors are always working to improve their craft, and learning to write is a lifelong endeavor. So have fun, find new opportunities to propel your abilities, and keep practicing! One of the best things you can do to improve your writing is to actually write, so keep working to share your story, and to make a valuable contribution to the literary world. Ready to become an author? Join me in Florida January 25-27 2019 for the 3 day live workshop! You’ll get everything from writing tips to publishing contacts and forming a network of authors just like you! Practice makes perfect, but there are also time-saving tricks to give your writing a boost! Here are a few easy ways to improve your writing skills. Want to Get Your Reader’s Attention Quickly?